Ron and Maggie Tear Photography: From the top. On our way down trhe Miners track from the summit of Snowdon. It was trecherous to start but became easier on the lower path. The lakes in the cwm are visible. 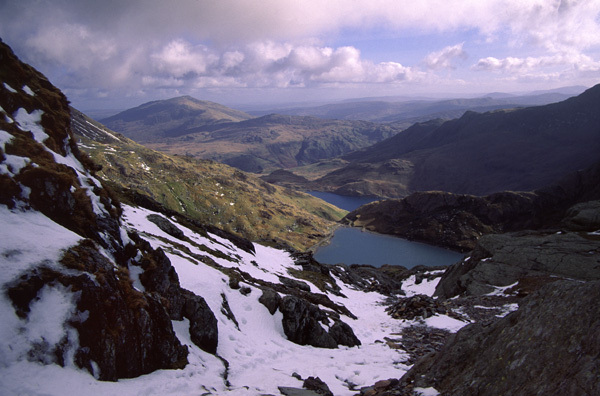 Snowdon, Snowdonia, Nrth Wales, UK.